The Magtide main target are generally good size predators such as Bass and Pike but also tropical fish such as tuna, GT, leerfish or dolphinfish. 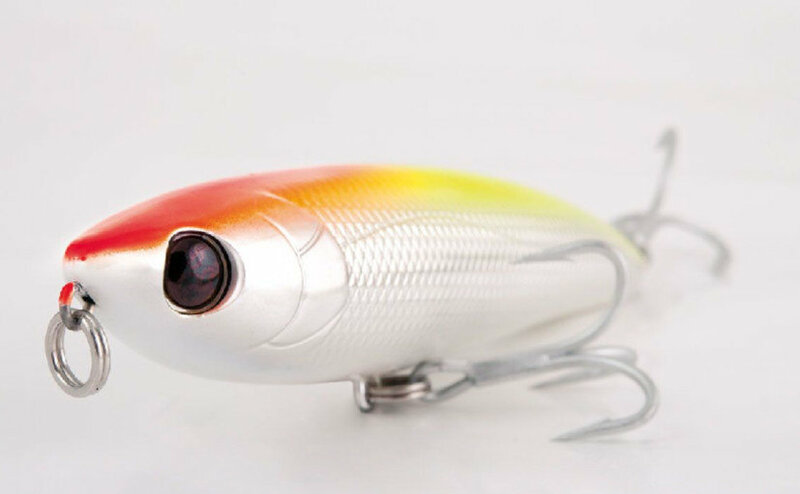 Extremely easy to use, Magtide shows the typical swimming action of the topwater WTD lures, with the classic darting action under jerk-pause style retrieve producing smooth and large side-to-side movements producing flashes and lightening in the upper layers of the water column thus to grab predator attention and entice the attack. But under a steady and fast retrieve it is able to swim just below top-water. Apart from the outstanding swimming action, Magtide offers also great casting ability, thanks a careful study of the aerodynamic and hydrodynamic flows effects on the body, combined with a perfect balance of the internal weights. Magtide is full-packed with great innovations and features, from which stands out the SHS System, the “full wire” construction to withstand the strongest fighter. Magtide is also supplied with both treble and single hooks as standard.